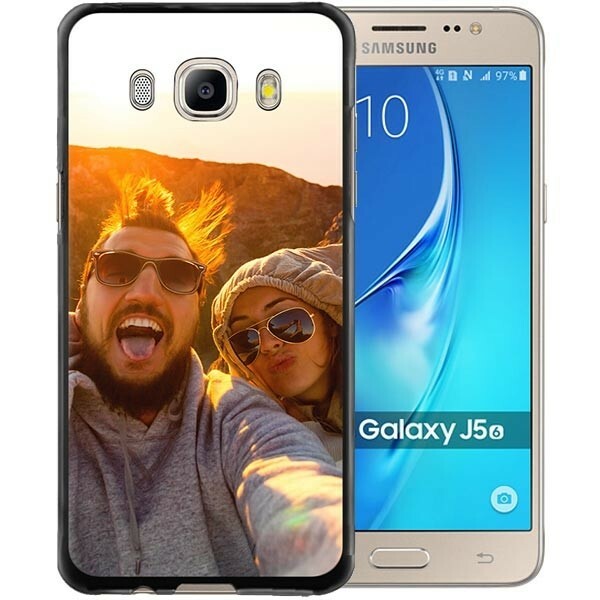 Protect your Samsung Galaxy J5 (2016) with a custom designed case! 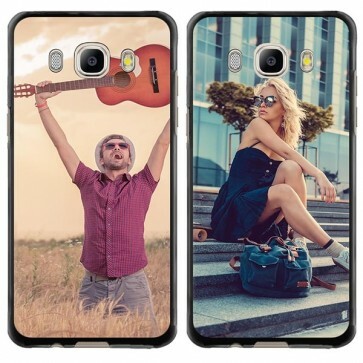 Our custom phone cases can be printed with your favorite photo. Don't let your mobile get scratched and dented. Custom a case. Design your mobile with our custom phone cases. A hard case for your Samsung Galaxy J5 (2016) will help protect it from any scratches or damage from drops. Our hard custom phone cases are made from a strong plastic material, which ensures protection of the back and sides of your phone. At GoCustomized, we give you the chance to protect your phone in style. Design your case the way you want it and give your phone a unique look. This case doesn't affect your phone's ability to function in anyway. It allows for easy access to all the openings of your phone, so rest assured, you can use your camera, headphones and charging point with no issues. Our custom phone cases for the Samsung Galaxy J5 (2016) are practical, personal and will fit perfectly with your mobile. It's easy to create your own custom phone case. Using our easy phone case maker, you can easily create a phone case maker phone case! In the phone case maker, simply upload your photo or design from your PC or social networks, such as Facebook and Instagram. Place, adjust, rotate and zoom in on these photos however you like. Be careful when designing the case that you keep a 3mm margin in mind. At GoCustomized, we are positive that anything is possible with your creativity. Insert your favorite quote by using our text modifier. Choose a specific font, font size and font colour and write something you love. Have you run out of ideas on how to design a custom phone case? Take a look at our premade designs in the phone case maker and you can choose anyone you want! Sit back and enjoy designing your case the way you like it. Our experts will print your case, your way.